Eight high-tech SMEs*, members of the Mov'eo cluster in Paris area, come together to jointly develop ADAS (Advanced Driver Assistance Systems). The idea is to build a complete value chain ranging from perception (cameras, sensors , ... ) to actuators on the engine and on the vehicle controls , including detection of hazardous situations (pedestrian detection , poor visibility, departure lane detection , obstacles detection, road safety level estimation) also with an open development environment to extend the delivered function at will. The Groupement ADAS integrates those systems on board into vehicles, and has also its own simulation tools for validation of ADAS. The Groupement ADAS is currently developing its own autonomous vehicle demonstrator that will be presented in summer of 2014. makes this “Moveo Groupement” an important interlocutor in Europe in the field of ADAS. We're delighted to confirm as a speaker Christian Sobottka, Executive Vice President Sales/Marketing, and member of the Board of the Chassis Systems Control unit. He will be at CESA 3.0 and will make a keynote speech on december 3rd. According to his LinkedIn profile, Mr Sobottka has been Senior Vice-President in Bosch Brasil for gasoline systems and has been formerly VP of the Global Business Unit for Automotive Fuel Supply Systems. Graduated from the University of Bradford, and from the Technische Universität in Darmstadt, this expert from Bosch speaks 4 languages (english, portuguese, french, italian), in addition of german. One of the topics that will be discussed at our event is ADAS and the technical progress towards automation of driving. The breakthrough of driver assistance systems is already there. Automatic parking, emergency braking or pedestrian protection systems are generalized in all car segments and sales numbers are increasing drastically. What are the new technologies that will address increasing levels of driving automation ? What about automation and safety ? What can we expect from cross-fertilization with other industries ? This is a snapshot of what will be discussed at CESA 3.0. Autonomous driving is one the topics adressed by CESA 3.0. Here is an example of what OEMs are doing in that field. 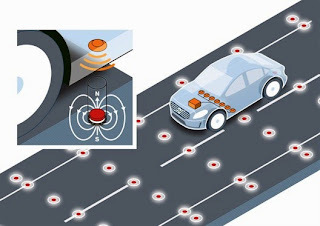 Volvo Car Group has completed a research project using magnets in the roadway to help the car determine its position. The research, which has been financed in strategic co-operation with the Swedish Transport Administration (Trafikverket), is a potential key to the implementation of self-driving vehicles. Why ? Because, reliable and highly accurate positioning is one of the crucial issues in the development of self-driving cars. While established positioning technologies such as GPS and cameras have limitations in certain conditions, road-integrated magnets remain unaffected by physical obstacles and poor weather conditions. 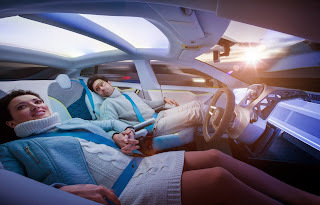 Geneva Motor show : what's new in the field of the connected car ? The connected car made the buzz, once again, in Geneva. 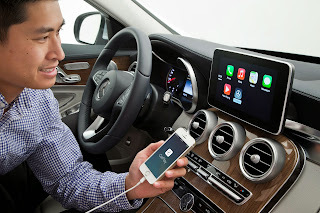 We have seen Apple, coming into cars with CarPlay. It's a smarter way to use your iPhone on four wheels. You juste have to plug the smartphone to get all the informations on the built-in display. Thanks to CarPlay, you can get directions (from Maps), make calls, send and receive messages and listen to music. Volvo, Mercedes, Ferrari and PSA Peugeot Citroën have shown applications in their cars in Geneva. On the other hand, we have seen also MirrorLink.